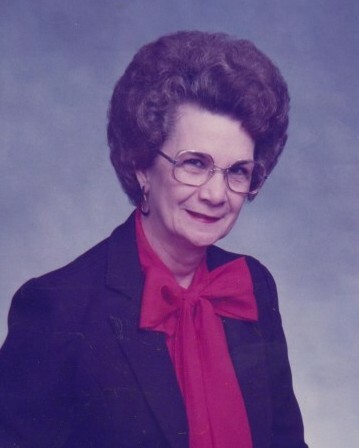 Minnie Goettel, 84, was born on July 2, 1934 in Mertens, Texas and passed away at her Harlingen residence on Wednesday, March 27, 2019 with her daughter, D'Etta at her side. She moved with her family in 1937 to Mercedes, Texas where she attended school. She attended high school in Harlingen up to the 11th grade. Minnie was the youngest of 9 children. Her dad (Papa) always called her "Baby". Minnie first started her working career with Interstate Theatres in Harlingen. In August 1952 she went to work for Southwestern Bell Telephone until her retirement in November 1985. She went to work for Tropical Savings as switchboard operator. She then worked for Pittman and Davis until her final retirement. She was a longtime member of the First Assembly of God Church. Her best friend was Donna Blevens who married her brother, Joe. She married Robert Eugene Goettel on November 1, 1952. Her other best friend was Marian Tieman, who worked with her at Southwestern Bell. They continued their friendship up until the time of her death. She is survived by her daughter, D'Etta L. Breuer (Martin) of Mexia, Texas; sister, Nellie R. Sharp of Harlingen; grandchildren, Martin Lyle Breuer, Jr. and Joseph Robert Breuer (Grace) both of San Antonio, Texas; Amy Lynn Warner of Corpus Christi, Texas; one great grandchild, Shelby Lynn McMurray of Mexia, Texas; and numerous nephews and nieces. The family would like to give a special thanks to her caregivers, Irma Gonzales and Josie Gonzales. She was preceded in death by husband, Robert Goettel in 1997, daughter, Daurice Lynn Russell in 2017, son-inlaw, Doug Russell in 2019, 2 nieces, 1 nephew and 1 great nephew. Visitation hours will be held from 12:00 PM to 7:00 PM, with the family present from 5:00 PM to 7:00 PM on Monday, April 1, 2019 at Buck Ashcraft Funeral Home. Funeral services will be held at Buck Ashcraft Funeral Home, 2:00 PM, Tuesday, April 2, 2019, with her nephew, Rev. James Mayo presiding. Burial will follow at Combes Cemetery where her husband and daughter are buried. Serving as Pallbearers will be family members, Henry Mayo, Martin Breuer, Marty Breuer, Joey Breuer, Virgil Sharp and Tom Breuer. The family request that those desiring to do so may make memorial donations to the Christian Center Assembly of God, P.O. Box 566, Krum, Texas 76249 or to the charity of choice.